This is the belief of Dr. Lívia Palicska, President of the Association of Hungarian Light Industry. Given her deep knowledge and experience the worldfootwear.com wanted to know about her views on the state of footwear industry in Hungary and in Europe. 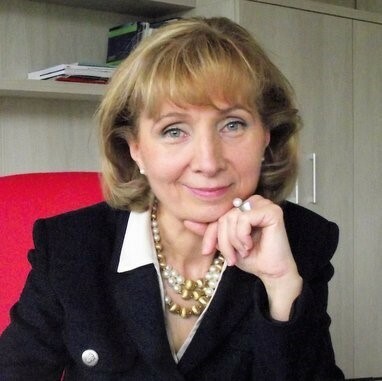 Dr. Lívia Palicska is the President of the Association of Hungarian Light Industry (AHLI), an employers organisation covering the textile, clothing and leather branches of the economy (including footwear). She took on the position in 2014, and currently adds it to being the Vice-president of the Hungarian Society of Textile Technology and Science and a Project coordinator for EU-funded projects. With a degree in Textile Engineering from the Technical University Dresden in Germany, Dr. Lívia Palicska also has a Phd from the West-Hungarian University, and has been a researcher in Material Testing of Textile Fabrics and a lecturer at Hungarian Technical College for Light Industry (now Obuda University) for several years. The number of active footwear manufacturers in Hungary has been slowly declining over the years, and is now below 100. According to statistics from the AHLI, in 2015 there were 94 registered footwear companies in the country employing roughly 12 000 people. Footwear companies in Hungary cannot find people to work on their units and “some Hungarian companies are moving part of their production units to neighboring countries in the East, such as Ukraine”. One of the biggest challenges the footwear industry is currently facing is the attraction of young people. Dr. Lívia Palicska is talking about her own country, but this is the reality of all European countries: “Skilled workers with decades of experience and know how are getting older and will retire soon, which demands new people coming into the factories to replace the ones retiring. However, the industry is struggling to attract the youngsters. There is no vocational education focused on footwear in schools and although there are some training offered by companies the percentage of those who continue working at the factories after the courses finish is very low”. What can be done to change this? The manufacturing industry in general and the footwear industry in particular have to present themselves as a real alternative for young students. Firstly, the opportunities available in the industry have to be communicated and people should see footwear as a real opportunity to make a career”. Then, Dr. Lívia Palicska believes it is time to “start with effective marketing campaign to attract youngsters to the shoe industry”. Besides, the renewal of the staff in their structures, Dr. Lívia Palicska believes the European footwear companies will have to update themselves and focus on Industry 4.0.: “digitalization, automatization, education, innovation, research, sustainability” will have to be on the agenda of all companies. Those who ignore these will struggle to compete in an intense and fierce market where consumers are more knowledgeable and demanding than ever. Dr. Lívia Palicska goes back to the training and education sphere to underline that “footwear education and training must be deeply reorganized”. Not only from the perspective of attracting news students and future workers for the footwear industry, but also “to find educators, lecturers, schools and universities specialized in footwear production in Europe”. And this has to be deeply coordinated with a focus on “added value products which incorporate the different trends in the market: the growing desire for a combination of comfort, style and individual self-expression and an added search for natural, recycled or vegan materials. And all of this, without forgetting the branding, competitive pricing, continuous customer communication. The footwear industry has to be active, always seeking to do better and to meet the customers’ requirements. We need to understand what people want in order to be able to respond”.